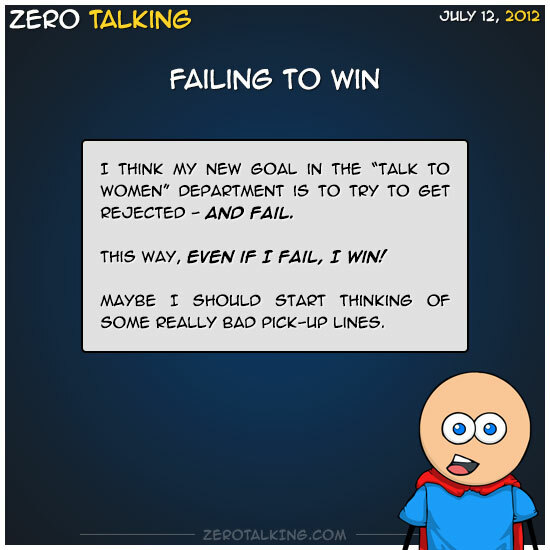 I think my new goal in the “talk to women” department is to try to get rejected — and fail. This way, even if I fail, I win! Maybe I should start thinking of some really bad pick-up lines.